The President of CIT Marbella Juan José González Ramírez officially opened Our Space Marbella on the 1st of February alongside the CEO Kevan Halliwell and key members of the Our Space team. 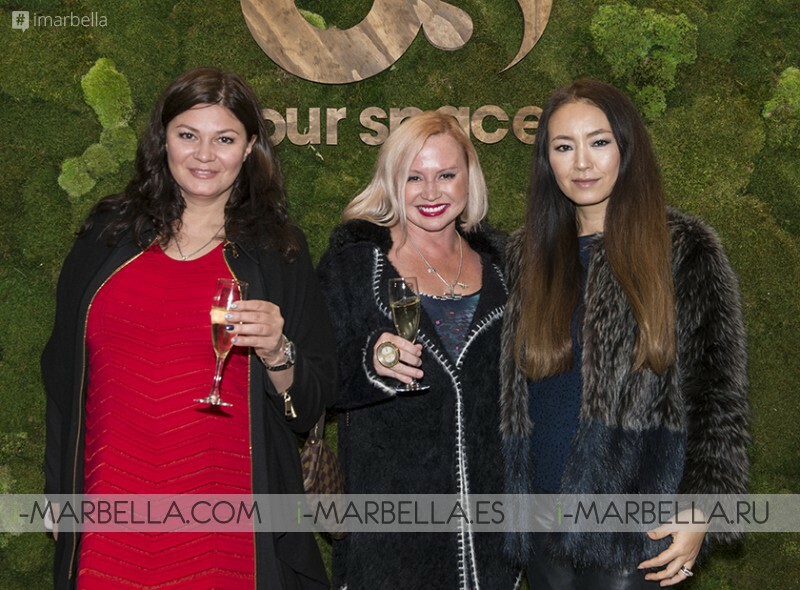 Hundreds of Marbella businesses attended to mark the launch of this new global brand, visit the outstanding facilities, enjoy the amazing entertainment and find out how coworking could help their companies to succeed. Our Space Marbella is located in the Oasis Business Centre on the Golden Mile, and offers entrepreneurs 6,000 square feet of futuristic workspace. Designed by Emmy-nominated Hollywood Set Designer Carlos Barbosa it is an inspirational setting which will boost productivity and creativity. There are 13 private offices and 140 desks in a shared coworking environment, plus cutting-edge technology and innovative lifestyle services focusing on health, wellbeing and productivity, in addition to a strong community of local and international businesses. They also have an in-house healthy eating Pure Café concept, from the team behind Pan Y Mermalada and Small World Cafe. As part of the launch, they are offering the first month totally free of charge, to allow businesses to try out coworking for themselves. Marbella was chosen as the first location for this new and exciting global coworking company, cementing the area as an important business destination. This dynamic brand will open 50 coworking locations 12 in gateway cities and iconic buildings over the next 3-5 years, offering members of the Marbella site the opportunity to work in any of their spaces around the world. This will be an excellent service for the Marbella business community, creating eight jobs directly in the centre and helping hundreds of businesses to grow and create jobs and wealth for the area. It offers a flexible workspace which is open 24/7 and can be used from €6.54 per day. An investment of more than €600,000 has been made into creating this exceptional work environment in Marbella and the team are committed to supporting entrepreneurship and offering every business working in the centre support, training and networking opportunities to help them to thrive. They are also supporting local charity Arboretum Marbella by donating office space for a year, removing this cost from the charity and giving them the opportunity to make new contacts and members and grow. Visit www.ourspace.work to take advantage of their first-month free promotion and find out more or contact Community Manager Megan Hanney megan.hanney@ourspace.work +34 690 212 249.